Pastor David Linkugel grew up on a farm, near Bremen, Kansas, that was homesteaded by his great-grandparents. He attended St. John’s College in Winfield, Kansas from 1977-1979 and Concordia College (now Concordia University) in Ann Arbor, Michigan from 1979-1981. Pastor Linkugel received his Master of Divinity degree from Concordia Theological Seminary in Fort Wayne, Indiana in 1985. 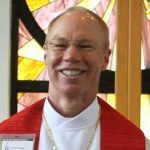 His vicarage was at Trinity and St. John Lutheran Churches in Sidney and Fairview, Montana from 1983-1984. 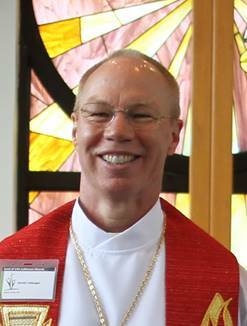 Pastor Linkugel began his ministry at Zion and Trinity Lutheran Churches in Presho and Reliance, South Dakota and served there from 1985 to 1991. 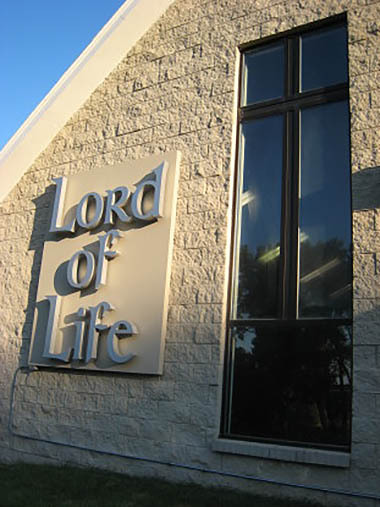 He has served Lord of Life since June 1991. Pastor and Diane were married in June 2010. They have three daughters, three sons-in-laws, a grandson, and a granddaughter. Pastor Linkugel also serves the community as a part-time on call chaplain at Lakeside Hospital, providing pastoral care in times of emergency on nights and weekends. I personally know what a blessing it is to have a personal relationship with Jesus as Lord and Savior and to know that He’s with me no matter what we go through in our lives. It is my hope that everyone would have that same peace and comfort.